Mooncake Festival (Mid-Autumn) is around the corner. 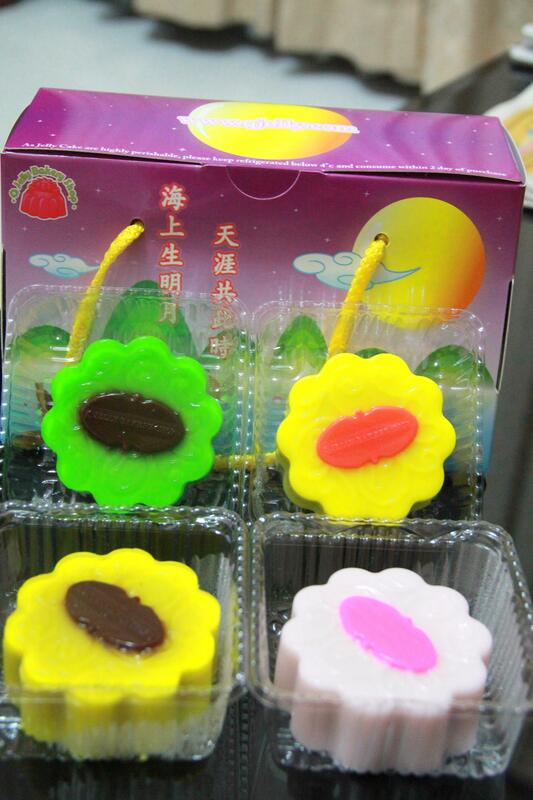 You can easily get or find a mooncake selling in shopping malls or any bakery shop. Even Hotels are promoting their best mooncakes. Don’t get surprise you will be spoilt for choice. The snowkin or baked mooncakes are rather common these days. 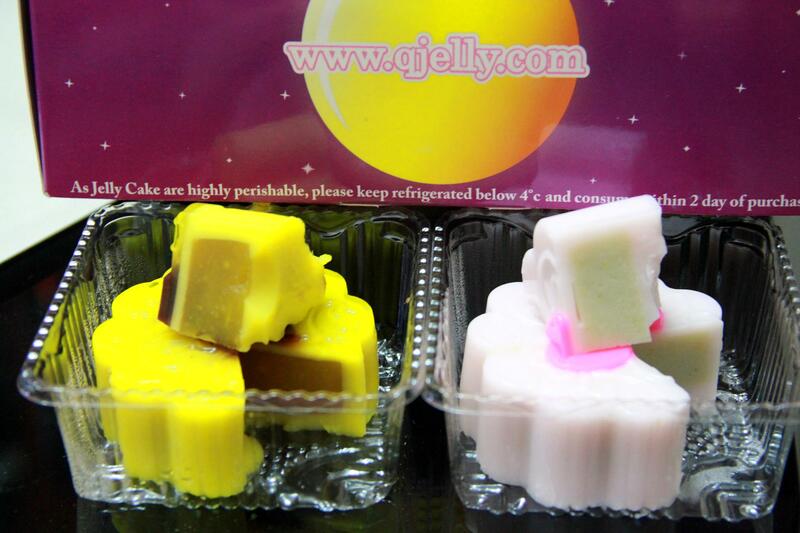 How about trying some jelly mooncakes? Yea..they do have fillings like the ordinary mooncakes, but the skin is made of jelly. 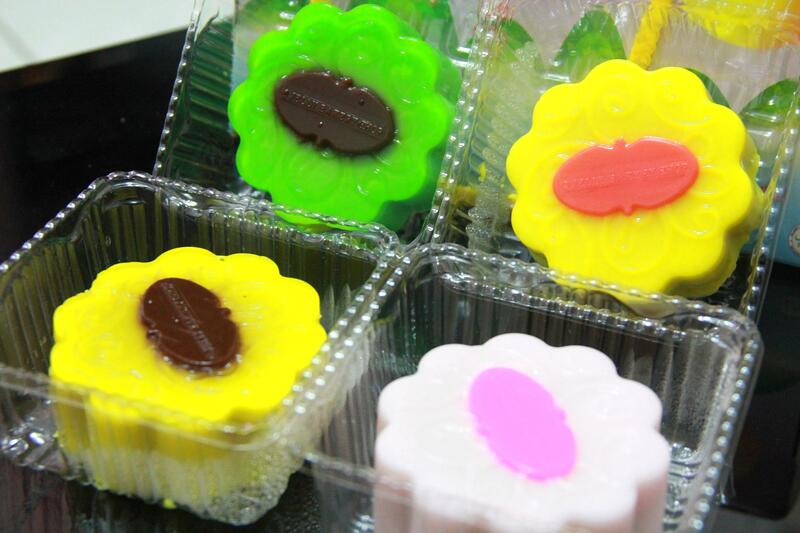 Last weekend, brother in law bought a box of jelly mooncake from Q Jelly Bakery Shop.Q Jelly Bakery Shop, the house of jelly is well known for its creative and freshest jelly cakes for all occasions. A box of 4, simply pleasant as gifts. It requires to consume within 2 days of purchase. Q Jelly claimed that the jelly is Green Seaweed imported from Japan. Moreover all the food color dyes are approved by “The Food and Drug Administration” (FDA) in United States. So, no worries bout that. From Left; Mango Filling, Taro Filling. From Left; Winter Melon Filling, Sweet Corn. All 4 flavors are nice. They aren’t too sweet either. I personally much preferred the fruit flavors. I find it more special. 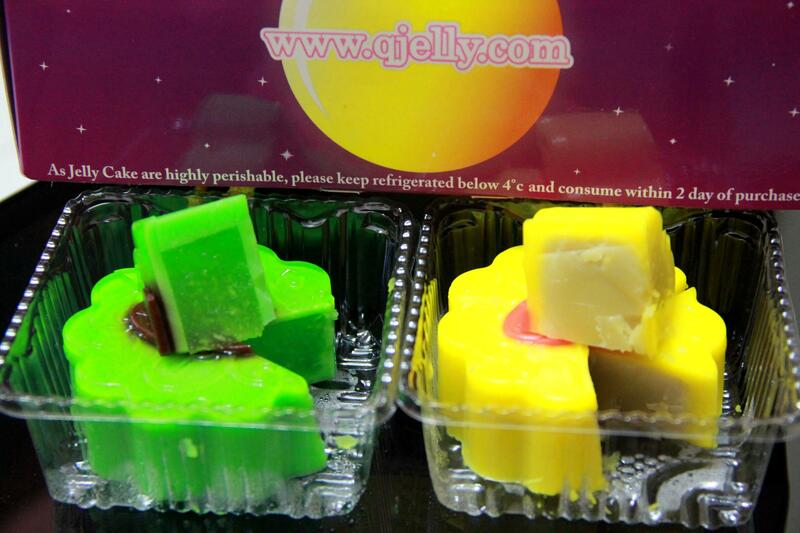 Jelly Mooncake? thats something new for me, is this a new product? Ray – Erm..nope. Actually its not new. Just that its quite difficult to get a jelly mooncake rather than the baked skin ones which u can easily get from any supermarket during mid-autumn festival. I think its because it can’t be kept long. That’s why not many people selling it. These are really unique mooncakes. I can even remember I tried this particular mooncake that is infused with cherry blossoms.